THE PHANTOM IS COMING to SoCal again! Andrew Lloyd Webber’s hit musical The Phantom of the Opera will be at the Pantages Theater in Los Angeles, June 6–July 7, 2019, then immediately travel down the 5 toward Orange County’s Segerstrom Center for the Performing Arts, July 10–July 21. It’s too early to say whether Wife Dottie and I will be in attendance. One problem is we both know the musical essentially by heart, having seen it several times on two continents (if I include Britain in the European continent these days). Another is that we actually have four different phantoms: the ALW musical on CD, ditto on Widescreen Edition DVD, a Basil Rathbone old-time radio version, and a first English edition of Gaston Leroux’s novel. The Original Phantom’s Author. 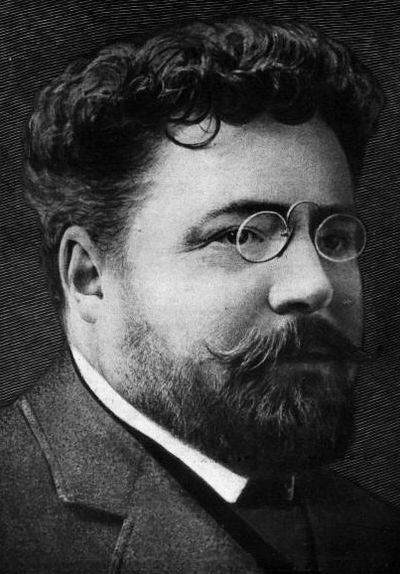 Gaston Leroux was a well-heeled Parisian who inherited millions of francs, lived wildly, and dabbled as a reporter and theater critic. At the age of 39, he shifted from journalism to writing detective fiction. 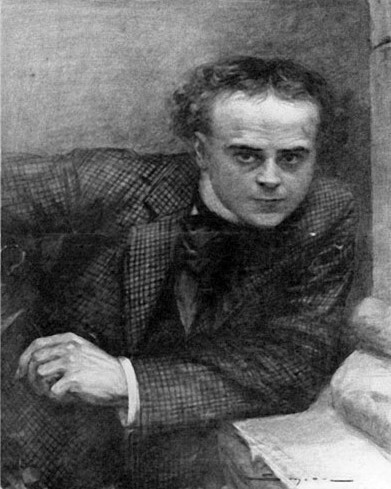 Gaston Louis Alfred Leroux, 1868–1927, French author of Le Fantôme de l’Opera, 1910. 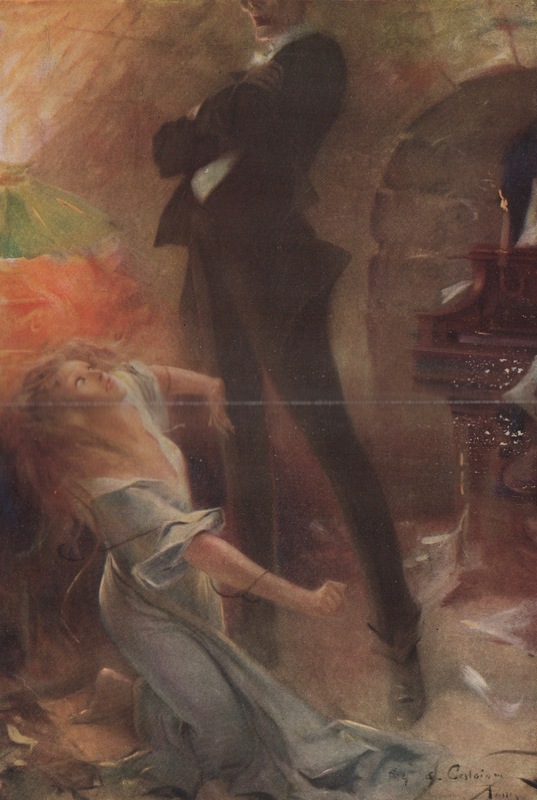 Leroux’s Le Mystère de la Chambre Jaune, 1907, and Le Parfum de la Dame en Noir, 1908, introduced amateur detective Joseph Josephin, aka Rouletabille. Rouletabille, amateur sleuth. Illustration by Simont from Illustration, October 19, 1907. Rouletabille, literally roule ta bille, “roll your marble,” is French slang for “globetrotter,” one who has seen it all and accepts life nonchalantly. 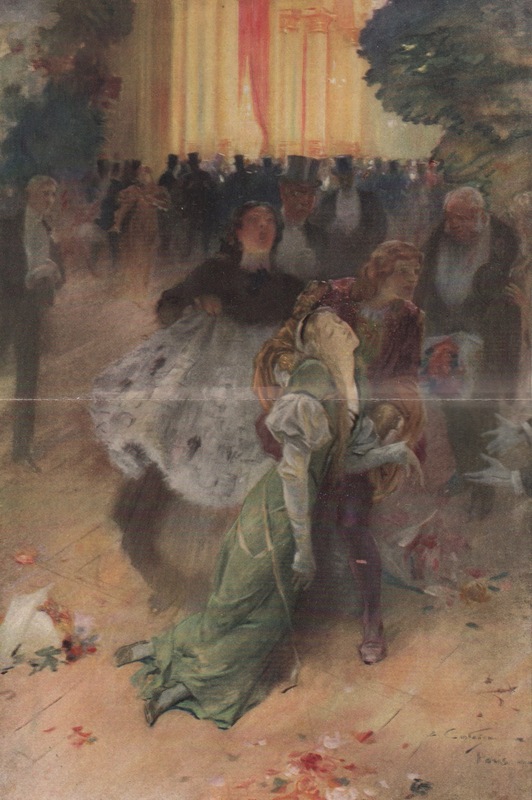 These and five other Rouletabille mysteries gave Leroux the reputation, at least in France, as the French equivalent of Dr. John H. Watson’s literary agent, Arthur Conan Doyle. For example, The Mystery of the Yellow Room is one of the first locked-room mysteries. 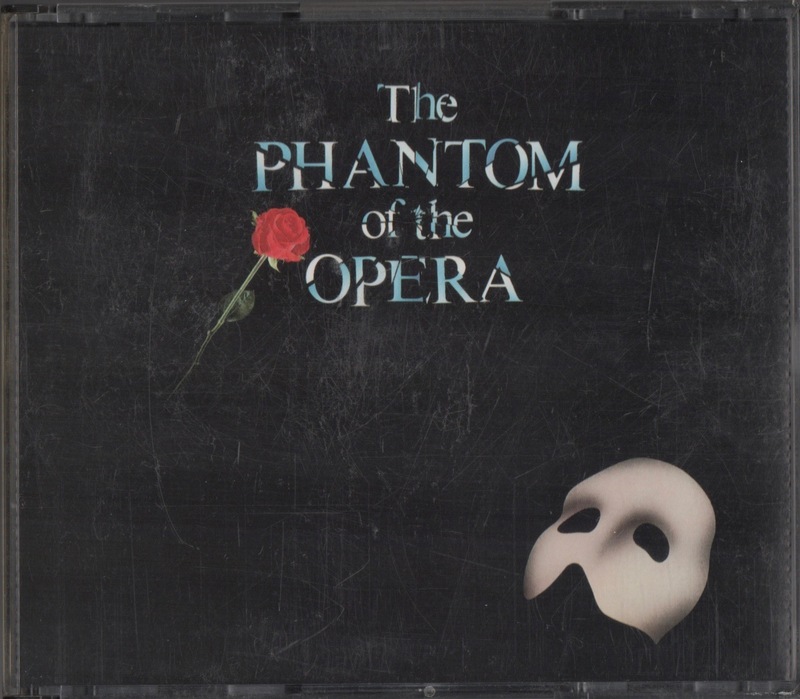 The Original Phantom. As Leroux tells it, the Opera Ghost of Paris’s Palais Garnier is a fellow named Erik, born deformed in appearance and not all that wholesome in spirit. Erik, the Opera Ghost. 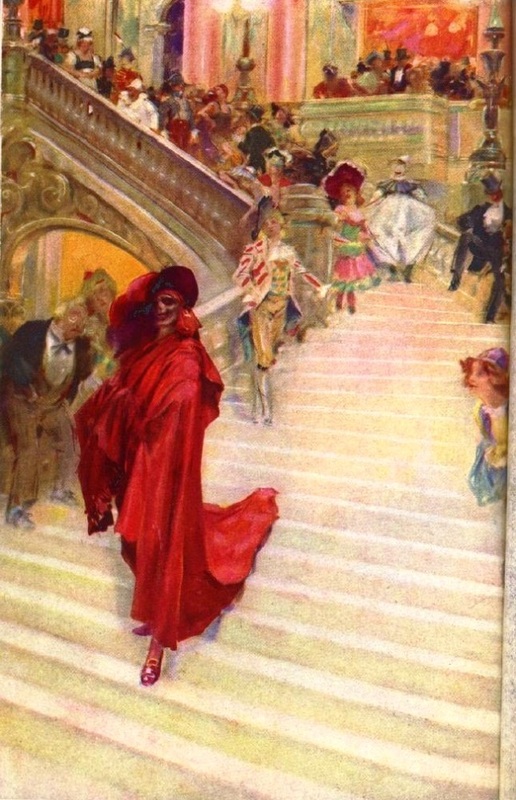 This and the following two captioned illustrations by André Castaigne from The Phantom of the Opera, by Gaston Leroux, Bobbs-Merrill, first English edition, 1911. Erik resides beneath the Palace Garnier. He tutors soprano Christine Daaé, her Angel of Music, and falls in love with her. The Vicomte Raoul de Chagny, who grew up with Christine, is the third element of this love triangle. Stagehand Joseph Buquet is hanged, diva Carlotta croaks like a toad, a chandelier falls on the audience, and then things get serious, not to say gruesome. Erik threatens to blow up the Garnier unless Christine agrees to marry him. Talking of death, I must sing—page 290. Christine promises to be his “living bride,” the pair’s tears mingle, and she promises to visit Erik on his “death day.” Sure enough, he dies “of love,” she hides his body, and then Christine and Raoul elope. No doubt the two will have lots to talk about. Other Phantoms. There have been more than few movie versions of Phantom, the first in German, Das Gespenst im Opernhaus, 1916. Lon Chaney was his own makeup artist in the 1925 silent version. 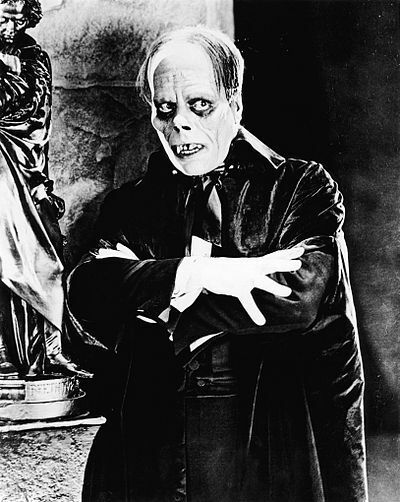 The 1925 Universal Pictures silent Phantom is remembered for star Lon Chaney’s appearance apparently prompting theaters to furnish smelling salts for ladies in the audience. Women are made of sterner stuff today. In 1943, Cecil B. DeMille’s Lux Radio Theatre performed Phantom; it’s still heard from time to time on “Sirius XM “Radio Classics.” Basil Rathbone plays the Opera Ghost, this time with a back story cribbed from Universal’s 1943 remake starring Claude Rains. Unlike Leroux’s original, this phantom is a Palais Garnier violinist who, feuding with a music publisher whom he murders, is disfigured by acid. As it’s radio, his face is left to the listener’s imagination. ALW’s Phantom. Wife Dottie and I are fortunate in having seen Andrew Lloyd Webber’s musical Phantom everywhere from Orange County to Los Angeles to London. We also have the CD and DVD. The Phantom of the Opera (Original 1986 London Cast), Andrew Lloyd Webber, starring Michael Crawford, Sarah Brightman, and Steve Barton, directed by Harold Prince, 1987. Would you like to hear Wife Dottie and me in our rendition of “The Point of No Return”? 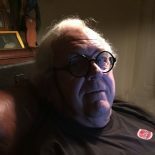 This entry was posted on April 10, 2019 by simanaitissays in The Game is Afoot and tagged "The Phantom of the Opera" Gaston Leroux Andrew Lloyd Webber, Basil Rathbone Phantom, Cecil B. Demille "Lux Radio Theatre", Lon Chaney Phantom, Rouletabille = Joseph Josephin = Leroux amateur detective.